Technical experts from member companies all over the world participate in the development of Accellera System Initiative standards through the dedicated work of our Technical Committee. Companies around the world are using our standards for designing electronic systems such as printed circuit boards and integrated circuits (ICs) that have become an integral part of today’s "smart" devices. Design of silicon chips can be done at various levels of abstraction with technology standards factoring into each layer of design. Accellera Systems Initiative accelerates development of interoperable standards at the front end of the design process, from circuit design, where chips are conceptualized, to System-on-Chip (SoC) integration. 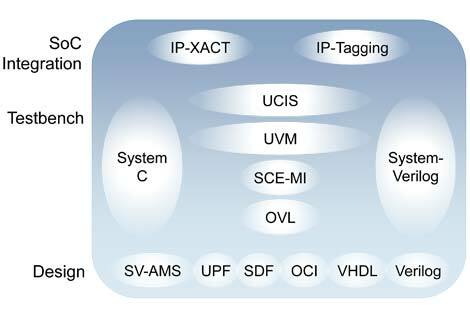 Through common testbench technologies, such as verification, the continuity and integrity between the different abstraction levels of the chip are ensured. Standards developed by Accellera boost engineering productivity, increase chip functionality, lower power, and ultimately reduce the cost of electronic products to the overall consumer.